Access Alaska is a private, non-profit, consumer-controlled organization that provides independent living services to people who experience a disability. As an Independent Living Center, our mission is to encourage and promote the total integration of people who experience a disability and Alaskan elders to live independently in the community of their choice. Through our assistance and support individuals with disabilities can identify and obtain needed services in an effort to maintain their independence as opposed to living in an institution. The Adaptive Sports Center enhances the quality of life of people with disabilities through exceptional outdoor adventure activities. The successful programs the ASC provides are inclusive to families and friends, empower our participants in their daily lives and have a positive enduring effect on self efficacy, health, independence and overall well-being. The American Amputee Soccer Association is a 501(c)3 tax-exempt organization, and is the governing body for Amputee Soccer in the United States. The Association is solely responsible for training and fielding a team to represent the United States in International play. The American Board for Certification in Orthotics, Prosthetics & Pedorthics (ABC) sets the highest standards for quality orthotic, prosthetic, and pedorthic care. ABC certification, facility accreditation and mandatory continuing education programs represent the profession’s most rigorous professional achievements. The mission of the American Orthotic and Prosthetic Association is to work for favorable treatment of the O&P business in laws, regulation and services; to help members improve their management and marketing skills; and to raise awareness and understanding of the industry and the association. We lead the fight against the deadly consequences of diabetes and fight for those affected by diabetes. We fund research to prevent, cure and manage diabetes. We deliver services to hundreds of communities. We provide objective and credible information. We give voice to those denied their rights because of diabetes. To provide people with limb loss/difference resources that allow them to live to their fullest potential. Amputee Blade Runners was founded by two prosthetists, with the idea that giving someone one piece of equipment could change their life. That's exactly what happened to our co-founder, Ryan Fann, when a local prosthetic company gave Ryan his first running leg after high school. Ryan excelled in sports throughout middle school and high school, but when he was fitted for his first running leg, the world opened up. He went on to run track at Tennessee State University and even earned a GOLD Medal in the Paralympics. (ACA) To reach out to and empower people affected by limb loss to achieve their full potential through education, support and advocacy, and to promote limb loss prevention. A voluntary health agency covering all arthritis and related conditions. 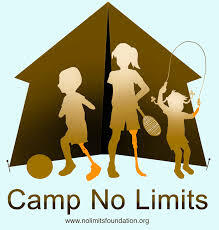 Camp No Limits is a non-profit organization 501 (c)(3) providing camps for children with limb loss, and education, mentorship, and support to these children and their families. Camp No Limits is the only camp for young people with limb loss & their families, creating a network of support for all the campers. Camp No Limits offers therapeutic programs with specialized professionals, including physical & occupational therapist, prosthetist & adult amputees role models. Association. Our goal is to develop amputee hockey for both recreation and competitive play. Challenge Alaska improves the lives of people with disabilities, their families and the whole community through adaptive sports, therapeutic recreation, and education. Participation in Challenge Alaska's programs helps people break down the barriers that may exist for them in many aspects of life. We accomplish this by building confidence and security, creating an infrastructure for support, increasing mobility, and improving health. CA's mission promotes education, social development and involvement, employment, and the ultimate goal of independence. 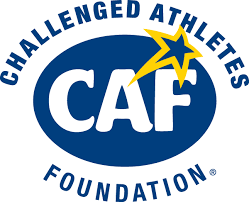 It is the mission of the Challenged Athletes Foundation® (CAF) to provide opportunities and support to people with physical disabilities so they can pursue active lifestyles through physical fitness and competitive athletics. CAF believes that involvement in sports at any level increases self-esteem, encourages independence and enhances quality of life. 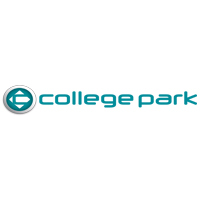 College Park designs, manufactures high quality prosthetic feet and endo components. The Disabled American Veterans National Organization set up the DAV Charitable Service Trust to advance initiatives that might not fit easily into the scheme of what is traditionally offered through the VA, state veterans' programs, or the veterans' service organizations. Endolite is a part of Blatchford Inc., which has been making artificial limbs and prosthetic components since 1890. As one of the oldest prosthetic manufacturers, Endolite has continued to provide innovative product designs which enable amputees to get busy living. Freedom Innovations is solely focused on developing world-class lower limb solutions in close collaboration with amputees and prosthetists. These solutions encompass technological innovations, service, training and educational resources, together with consultative support, to help ensure user satisfaction. The Heather Abbott Foundation helps provide customized prostheses to those who have suffered limb loss through traumatic circumstances. 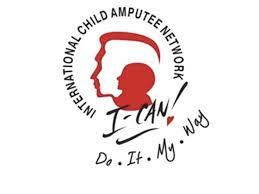 International Child Amputee Network (I-CAN) a tax exempt, 501(c)(3) organization, is dedicated to promoting education, support, information, and empowerment to traumatic and congenital limb different children and their families. I-CAN is committed in bringing together these children and their families to enhance the quality of life for the children and young adults based on the concept of mentors helping families, parent helping parents, and kids helping kids. The Limbs for Life Foundation is a global nonprofit organization dedicated to providing fully-functional prosthetic care for individuals who cannot otherwise afford it and raising awareness of the challenges facing amputees. L.E.A.P.S. Across the Heartland was established in 1987 as a support and resource organization with a focus on peer support to new amputees. Our objective is to help the new amputee through example, encouragement and education. 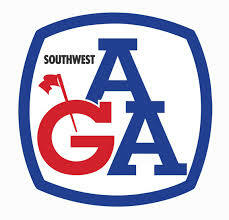 NAGA was comprised of a small group of amputee golfers who played friendly games that quickly developed into regional tournament play in various cities across the United States. Today, NAGA has over 2500 members worldwide. The National Commission on Orthotic and Prosthetic Education (NCOPE) is the accreditation body for the orthotics and prosthetics (O&P) profession. As such, its primary mission and obligation is to ensure educational and residency programs meet the minimum standards of quality to prepare individuals to enter the O&P profession. Rusk Rehabilitation has been ranked the best rehabilitation program in New York and one of the top ten in the country since 1989, when U.S. News & World Report introduced its annual "Best Hospitals" rankings. Rusk is among the most renowned centers of its kind for the treatment of adults and children with disabilities—home to innovations and advances that have set the standard in rehabilitation care for every stage of life of life and every phase of recovery. OandP.com is the leading online information resource for Practitioners, Amputees and Health Professionals. raising public awareness of physical disability. At Össur Americas, we pride ourselves on continuously pushing the boundaries to create some of the most effective, non-invasive mobility solutions on the market today. True advocates of “Life Without Limitations’’, our focus is on Prosthetic, Osteoarthritis and Injury Solutions. Mobility for people: the name Ottobock stands for high-quality, functional and technologically outstanding products and services around the world. Rheumatoid arthritis (RA) doesn’t have to stop you from living your life. Although the symptoms of RA can be painful, there are many treatments and therapies to help you take your life back. The American Amputee Hockey Association (AAHA) is a non-profit sports organization founded in 2000 to develop opportunities for amputee and other disabled athletes to learn and play competitive hockey. The AAHA is a member of the Disabled Hockey Section of USA Hockey and is working to promote a fun and safe environment for the growth of hockey in the United States. Trulife is owned and managed by a group of highly professional and experienced healthcare executives since 1987. Trulife is internationally based and totally engaged in the creation, development, manufacture and marketing of niche healthcare products. The Group activities encompass Orthopaedics, Breastcare, Prosthetics and Pressurecare products and services. For over a century WillowWood has provided solutions for clinicians and their patients. Our mission has guided four generations of the Arbogast family in dedicating the company to helping those with limb loss. Whether you are a wounded veteran looking for a new career or an employer eager to hire skilled professionals, Warriors to Work is here to help.